The global telerehabilitation systems market has grown steadily over the years, owing to the convenience it provides to the patients. Telerehabilitation system includes equipment for treating numerous programs such as substance abuse, mental health, and educational services for patients in care homes, mental hospitals, and rehabilitation centers. Such system helps many medical professionals in analyzing, consulting, supervising, and diagnosis of diseases. Telerehabilitation systems mainly relate to the delivered services by healthcare service providers in several medical branches such as physiotherapy. From the perspective of product types, the global telerehabilitation systems market is bifurcated into hardware and software. Among these products, the hardware segment accounts for the largest share and is expected to boost the global telerehabilitation systems market during the forecast period. This is because of the rising demand for advanced platforms and systems in order to provide operational therapy, physical therapy, and robot-aided rehabilitation. However, the advent of advanced technologies is expected to drive the global telerehabilitation systems market to expand at a meteoric CAGR of 18% during the forecast period. Rapid incorporation of technologies in the communication and information has moved ahead the telerehabilitation services over the telecommunication network. Telerehabilitation systems help in delivering real time rehabilitation services to the patients’ homes. Such service provide advantage to those patients who live far away from the rehabilitation centers. Such benefits are believed to be majorly driving the global telerehabilitation systems market. Furthermore, telerehabilitation systems is also cost-effective for both patients and healthcare providers as compared to in-clinic rehabilitation. This is because such systems can reduce the frequent visits to rehabilitation centers as the physicians are able to follow-up the patients after their discharge. Thus, such factors are also expected to fuel growth in the global telerehabilitation systems market. Due to the rising prevalence of various chronic disease worldwide, there is an increase in hospital overstays and patients visits. Some major factors such as staff deficiency and resource limitations are leading to overcrowding the emergency department. Such factors are highly compelling healthcare providers in adopting telerehabilitation systems for improving overall quality of services and achieving operational efficiencies. Such USPs are also expected to boost the global telerehabilitation systems market. Along with these, rapid adoption of advanced technologies, and rising adoption of sensors and IoT for monitoring patients effectively are also expected to propel growth in the global telerehabilitation systems market. Lack of skilled insurance facilities in developing economies, high cost of the process, lack of skilled professionals, and poor communication quality in developing economies may hinder the growth of the global telerehabilitation systems market. Nonetheless, such deterrents may not impact the momentum expected in the global telerehabilitation systems market in the near term. Currently, in clinical practice of rehabilitation, there is an increasing integration of telecommunication tools. Growing adoption of home care settings by patients, and rising demand for reducing the hospital visits are also believed to propel the global telerehabilitation systems market. Rapid development of new and pioneering technologies are anticipated to modify the current clinical practice through making telerehabilitation systems an integral part of healthcare industry. Thus, increasing m-Health facilities are also anticipated to boost the global telerehabilitation systems market in the near future. Geographically, North America is expected to lead the global telerehabilitation systems market as the region has seen rapid technological advancements. Rising expenditure in healthcare industry, burgeoning population suffering from various chronic diseases, the presence of advanced technology landscape across the healthcare sector could also be responsible for fueling growth in the telerehabilitation systems market in this region. 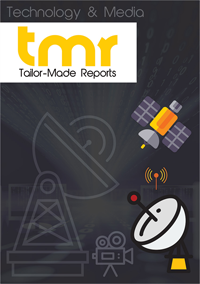 Key players operating in the global telerehabilitation systems market include Honeywell International Inc, Cisco Systems, Rehametrics, and GESTURETEK.